Archive of posts for October 2013. For the latest posts click here. October 2013 featured Eef Barzelay, Josh Harty, Ben Weaver, The Hopper Ward, The Wynntown Marshals, M.G. Boulter, Pacific Ocean Fire, NQ Arbuckle, The Heligoats, Colin Mounsey, Leeroy Stagger, Walton Hesse, Huw Costin, Canyon Family, Jenn Grant, Morning Bride, Beatnik Filmstars, Dave Harding, The Wallbirds, Bob Collum, Killing Fields Of Ontario, Don Brownrigg and Roger Davies. Back to the start. 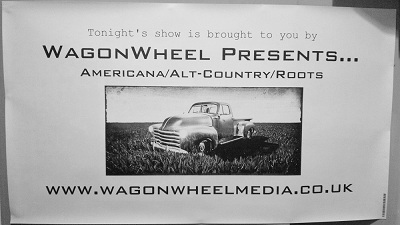 Roger Davies played the very first WagonWheel show seven years ago today. We booked him and he came. Canada’s Don Brownrigg came to The Grapes in 2009 playing songs off his debut album Wander Songs from which this track is taken. New record It Takes All Kinds (to make this world, i find) will hopefully bring him back to the UK to play more in 2014. Since first coming to The Grapes in 2008, Killing Fields Of Ontario have been regular visitors to the WagonWheel stage playing both explosive full band sets, and stripped down arrangements supporting the likes of Chris Mills and Otis Gibbs. Bob Collum first came to The Grapes back in 2008 and has played our stage several times both solo and with various incarnations of his band, The Welfare Mothers. Bob & band will be back at The Greystones in 2014. The Wallbirds came to West Street Live in early 2007. Unfortunately the trio are no longer together, though Ant & Chris went on to form Famous Villains and Luke The Pilots. A first time visitor in 2013, taking time out from Richmond Fontaine, Dave Harding came to The Greystones promoting his latest solo record You Came Through. Another one time visitor to the WagonWheel stage, Beatnik Filmstars came to The Grapes in 2009. Sadly since disbanded, this song is taken from what proved to be their final album. Morning Bride came to Under The Boardwalk in 2007, this track is taken from their album Lea Valley Delta Blues of the same year. Back in 2008/2009 we enjoyed two magical nights at The Grapes in the company of Canadian Jenn Grant. Hopefully a third won’t be so far away. Sheffield’s Canyon Family were the first new band to our stage in 2013 when they joined us at The Greystones. We look forward to seeing more of them in 2014. Another one who played that last night at The Grapes, Huw Costin first came to our stage with former band The Cold Light Of Day. Subsequently he’s joined us with new outfit Torn Sail as well as several solo appearances. This song comes from his new record Something/Nothing. Walton Hesse were the last full band to play one of our shows at The Grapes. This track (courtesy of Pilch) is taken from that very show. 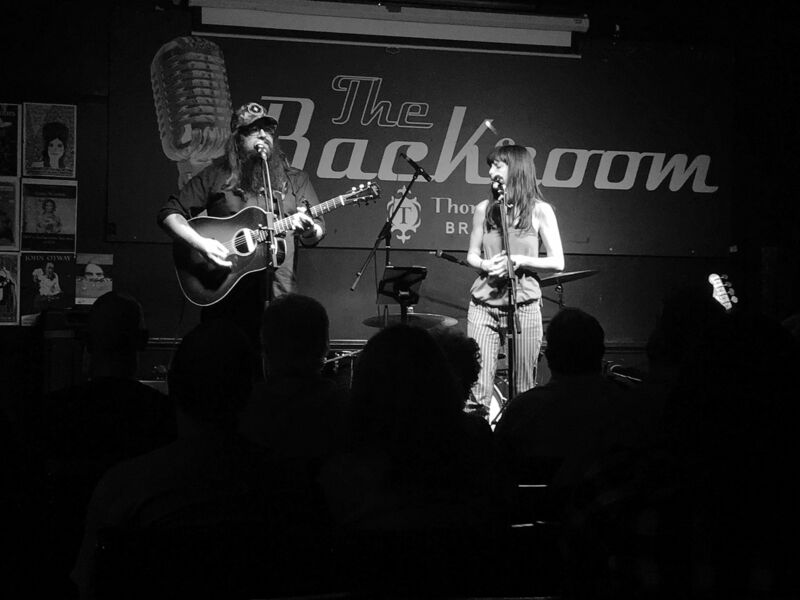 First time visitor Leeroy Stagger and his band were on fire when they came to The Greystones this summer. A small but appreciative audience were left wondering where everybody else was. An early favourite who’s been quiet on the live front in recent times. Played both of our Springsteen nights, though we still prefer him when he’s being Colin Mounsey. Chris Otepka of The Heligoats comes to Sheffield for the first time tomorrow. This track is taken from their latest record Back To The Ache. Show details can be found here. Another band sadly no longer with us, but they left some great records behind them. Pacific Ocean Fire‘s solitary WagonWheel show was back in 2007 at Under The Boardwalk. The most recent new arrival to the WagonWheel stage, at least in his solo guise, this track from M.G. Boulter‘s latest album The Water Or The Wave. Matt will be back at Shakespeares in November as part of The Lucky Strikes. The Wynntown Marshals played one of our first shows at The Greystones back in 2011 when touring with Dolly Varden and Magnolia Summer. This is from their brand new album which will hopefully see them back this way when on the road next year. In a spell of 18 months or so starting back in 2007 we were joined by The Hopper Ward four times. Sadly the band went their separate ways in 2008, it’s hard to believe it’s been that long. A band who truly won themselves new fans at every show they played. Trigger is from their EP of the same name. 2009 first brought Ben Weaver to Sheffield for a WagonWheel show when he played for us at The Grapes while promoting The Ax In The Oak from which this song is taken. He was last with us in 2011 when playing our very first show at The Greystones. Here’s looking forward to next time. From next to last. Our most recent visitor, Josh Harty, played Shakespeares just last week (indeed if you’re reading this from elsewhere in the UK, he’s here until the end of the month, dates at: http:www.joshharty.com). First coming to Sheffield two years ago when he opened for Rod Picott, we’ll be hoping to see him back in town next time around. An impending WagonWheel debutant and a perfect example of why we’re here. A musician we love who wouldn’t otherwise have been coming to our town. Eef Barzelay plays Shakespeares on Wednesday October 16th. Full details can be found here.